The Met Office forecast for this Friday and Saturday predict high, potentially damaging, winds on Dartmoor. 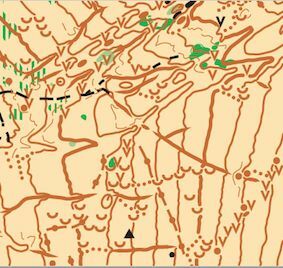 Although the orienteering area is open moor, all the event parking is on forest tracks. The Forestry Commission will investigate the parking tracks on Saturday early evening, checking for fallen or dangerous trees. They will decide whether or not the area is safe for us to use. We will let you know their decision by 20:00 on Saturday evening. The next club event is at Golden Dagger (south of the Warren House Inn), Dartmoor on Sunday 14th October. 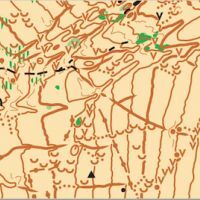 The area offers excellent, challenging, orienteering and has not been used for some years. Colour coded courses from Yellow to Brown are available. A new map has been surveyed and produced by Mike Wimpenny. Because of the complexity of some areas the scale for all courses is 1:7500. Pre-entry via http://www.fabian4.co.uk/ is welcome (closing date midnight on 11th Oct) but maps are likely to be available for all people who enter on the day and for all courses. Final details (posted 8th October), including directions, can be seen at: Events. The event also forms part of the south-west (Galoppen) league. It is a regional, ranking, event.